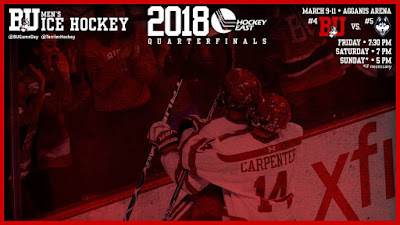 #20 Terriers are back on the ice tonight to begin their best-of-three Hockey East Quarterfinal playoff series with Connecticut at Agganis Arena. Puck drop is at 7:30 p.m. ET. 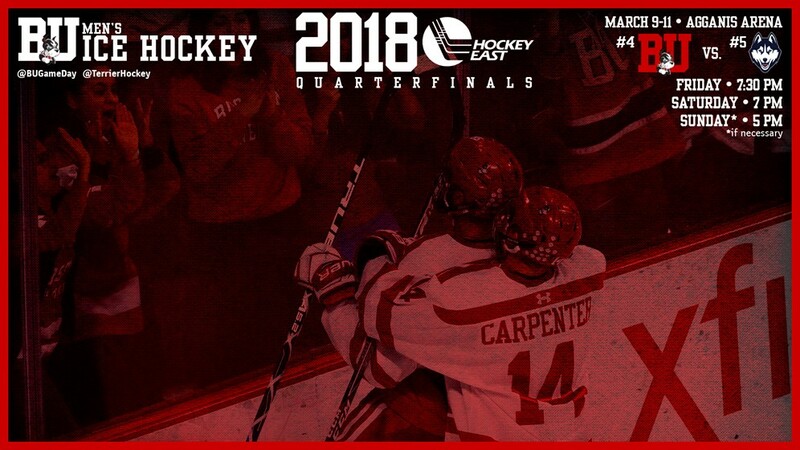 All quarterfinal series games will be live streamed on Hockey East TV (pay-per-view) via the Packet Network. BU and the Huskies split the season series with one win apiece and a tie. The Terrier win (6-3) and tie (2-2) came early in the season. Just weeks ago, UConn rallied from a 4-2 deficit in the third period to defeat BU in overtime, 5-4 at the Hartford Civic Center behind two power play goals. Along with the Terriers, UConn has been one of the hottest Hockey East teams in the past month and a half. It had a seven-game winning streak snapped in the regular season finale, but its late-season charge earned a fifth-place finish and the program's first playoff bye. Max Letunov leads UConn with 27 points while Alexander Payusov leads in goals with 12. Spencer Naas has 23 points. Tanner Creel, who took over the goaltending duties while Adam Huska was injured, was in goal for the Huskies win last month, stopping 27 shots. Both goalies are available this weekend. For BU, all hands are healthy with the exception of Patrick Harper who is out for the season. The Terriers have balanced scoring with Bobo Carpenter leading the way with 18 goals and 30 points. Shane Bowers and Jordan Greenway each have 27 points, while Dante Fabbro and Brady Tkachuk each have 26. Jake Oettinger, who has rebounded from a tough first semester, has a 2.50 GAA and a .912 save percentage in 32 starts. 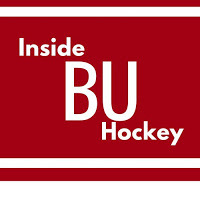 This week’s episode of Inside BU Hockey features Bernie Corbett’s interviews with Coach David Quinn and freshman forward Hank Crone. The Cedar Hill, Texas native has 11 points this season with seven coming in the past six weeks. Last season, he was third in the USHL in scoring, putting up 62 points for the Fargo Force. Former Terrier netminder Connor LaCouvee, now the starting goalie at Minnesota State as a graduate transfer, has been named one of ten semi-finalists for the Mike Richter Award as the top goalie in Division 1. LaCouvee has earned a 1.75 GAA and .917 save percentage, en route to a 22-3-1 record for the Minnesota State University Mavericks.